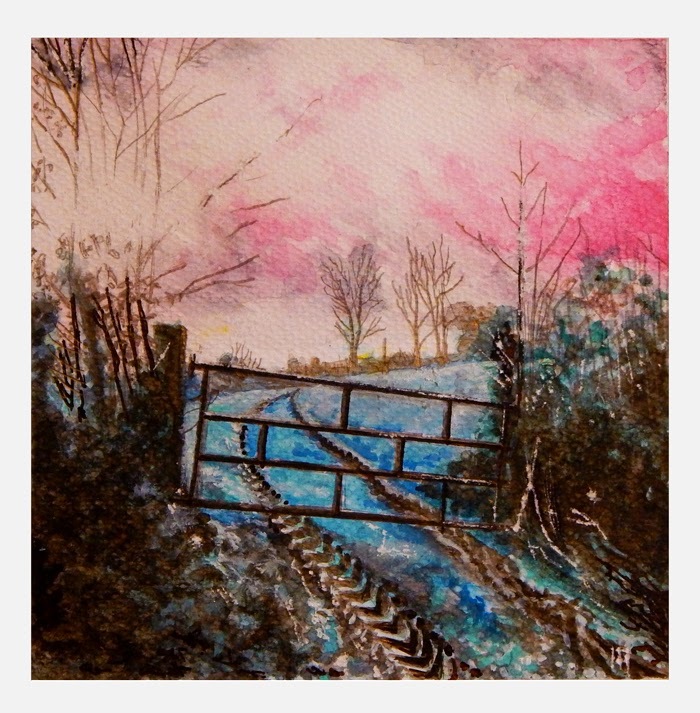 Water Colour Landscape Sketch for sale of Winter Gate in Normandy. 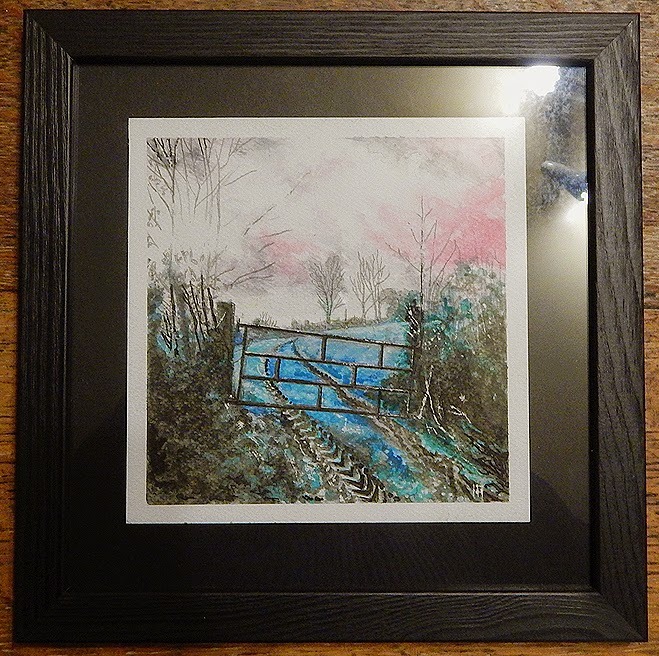 This is a watercolour landscape sketch completed in late December that depicts a track into a field in Basse Normandie. The colours are on the cool side because of the time of year and the tractor tracks show the mud in the field to emphasise this. The sun is always low on the horizon at this time of year often with high glare and causing strong silhouettes. I liked that the gate was closed but provided no real barrier because the top hinge had broken and the bottom hinge was on the way out. 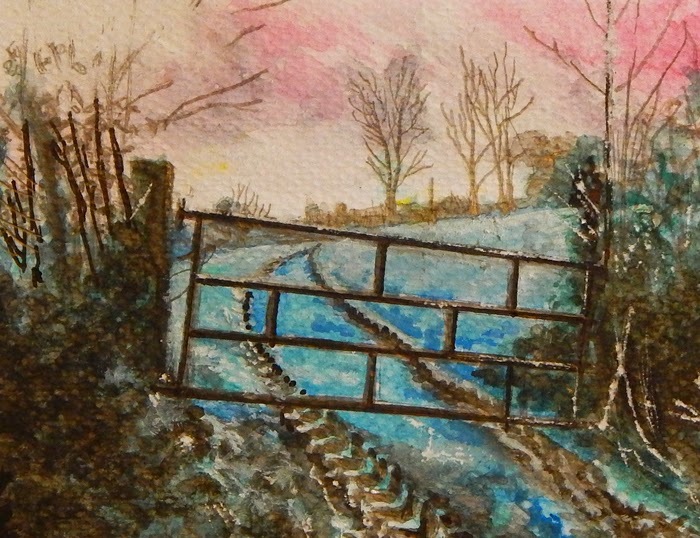 Water Colour Landscape Sketch detail of Winter Gate in Normandy.